Not much sewing has been happening around here in the summer--too busy swimming, riding, working outside, etc. All of those things are wonderful, but when it rains I do scoot up to sewing world and stitch a little of this and a little of that. So, a little plus a little does not equal a lot, but here's what I've been up to. I finished my great granny squared but haven't decided on a backing or anything else. I'm pleased with it and the navy background. I made a couple of zippy bags to take with me to camp. I love the foxes on this one. And the dress form on this one. Don't ask me what lines each fabric is from, because I'm hopeless at keeping track of that sort of thing. I tend to buy when fabric is on sale and pick up fat quarters of whatever catches my eye. I took the bags with me to hold all the bits and bobs needed while going from one music class to another. I went to CAMMAC (Canadian Amateur Musicians Camp) for early music week and had a wonderful time. I was either singing or playing my recorder all day long. Great food and great company too! This was my month to receive blocks from my Canadian Wee Bee, so here are most of them up on the design wall (otherwise known as a plastic tablecloth!) Don't they all look happy and cheerful! Now I need to think how to put them all together. I really enjoy making very different types of blocks each month, but this month I am behind! 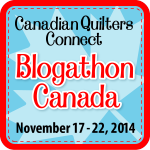 I am linking up to The Needle and Thread Network today, so go take a look. Oh my goodness Margaret, How wonderfully productive you have been! I love your bags, but even more so i love your great granny squared quilt! My great grandmother crocheted and afghan very much like this! The same sort of colors against a navy background! I think she made it sometime in the 1940s. So i sit here in amazement. I love the navy background on your Granny Squares quilt! I just bought 8 yards of navy Kona to use as the background on a couple of quilts. After seeing how yours turned out, I am glad I bought the navy! The navy background makes your granny squares POP! Great job. Love your zippy pouches and your bee blocks. 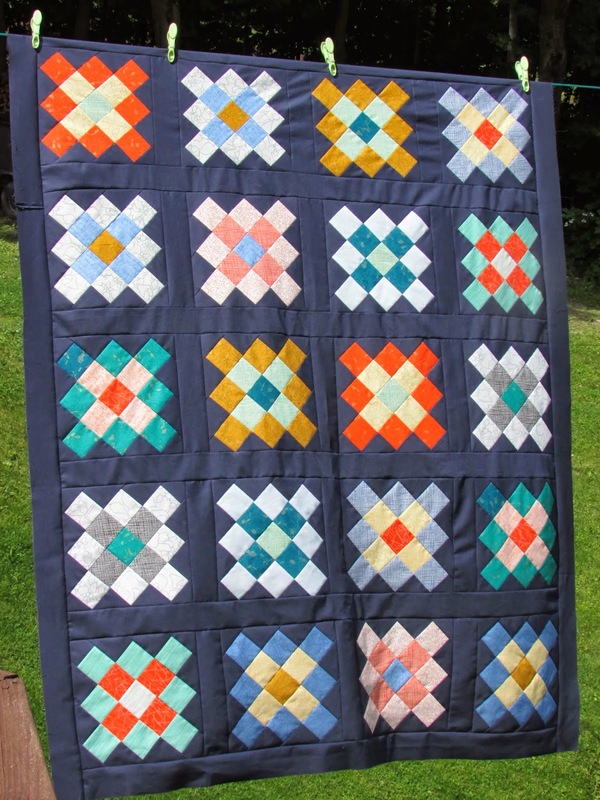 Pulling out that lovely coral in your great granny squared would make your backing really pop.. especially when flipped over against that navy solid. The granny squared is too good. Love the navy background. The Bee quilt is so very cheerful like a rainbow. I did a granny swap with dark gray background, poor blocks are still in a project bucket - congrats on finishing the top. Love the foxes too - I picked up a bit of that fabric line as well. I love the colours in both of your quilts. I like that you choose the dark background - really showcases your blocks. 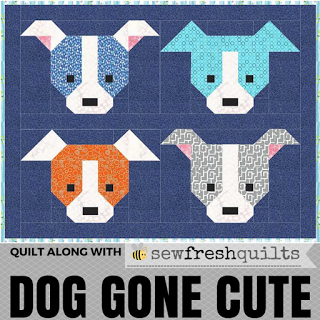 Your Wee blocks will make a glorious quilt. Interesting that Wee Bee, I will have to read about that. The blocs are really nice. Love that Granny Square quilt. The dark background really helps to make those colours pop! Your bags are both really cute, too. Thanks for joining us at the Let's Bee Social this week, Margaret!